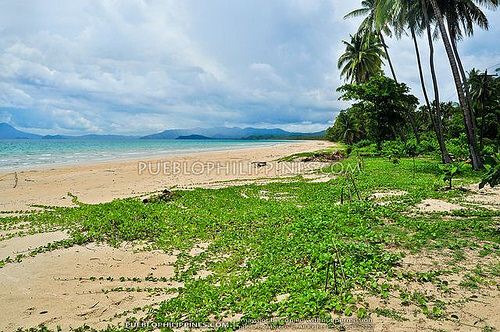 Why go to San Vicente, Palawan? 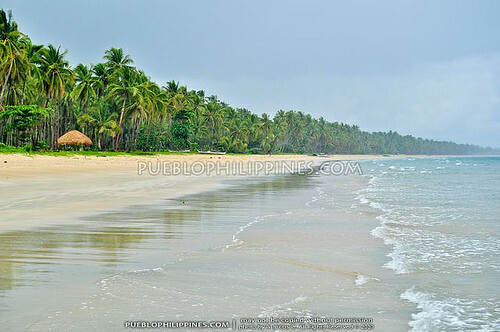 To see Long Beach, reputedly, the longest white sand beach in the Philippines! 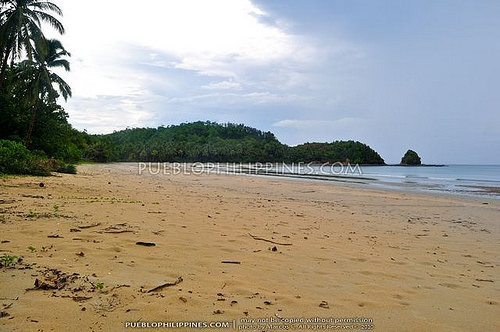 When was still thinking about doing a 12-day trip to Palawan I initially only had 3 items on my list: Honda Bay, El Nido, and the Underground River. While I could have been more than happy to have spent all my time in just these place, I wanted to know if there were other nice places to visit in the area. 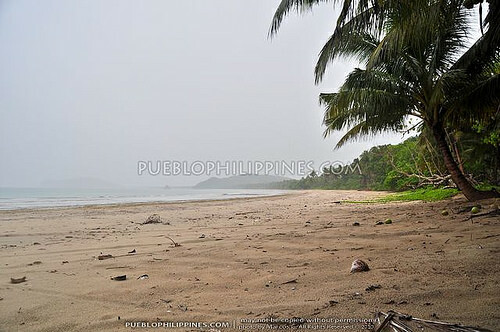 San Vicente’s Long Beach fit snugly into my plan since the town is located along the way between Puerto Princesa and El Nido. I was so happy I made that decision because Long Beach did not disappoint. Long Beach was indeed freakin’ long, 14km as claimed by the townsfolk. It was so surreal to see such a beautiful white sand beach seemingly stretching endlessly into the horizon yet devoid of any huge beach resorts, tourists, or loud bars. San Vicente Long Beach all to MYSELF! 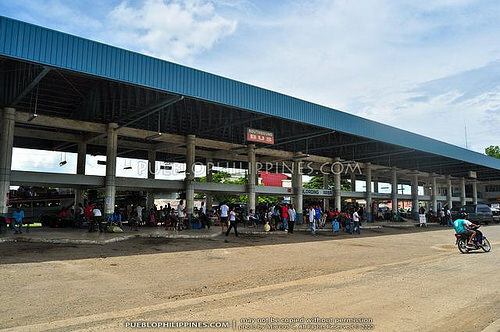 After my arrival in Puerto Princesa, Palawan (via the Iloilo to Palawan RORO Ferry), I walked to Rizal St. and hopped on a “San Jose Terminal” jeepney (P12 fare) going to the city’s integrated transport terminal. 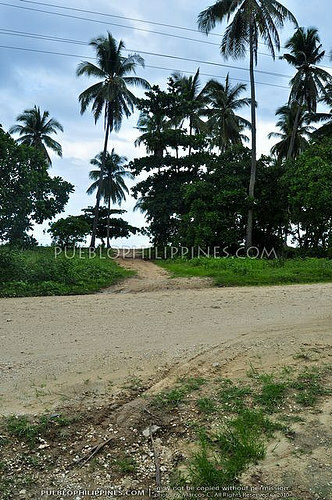 I wanted to head straight to the town of El Nido on my first day. At 12:45NN, there weren’t any El Nido bound buses left so I went to the van terminal of “Fort Wally” to check out my other options. 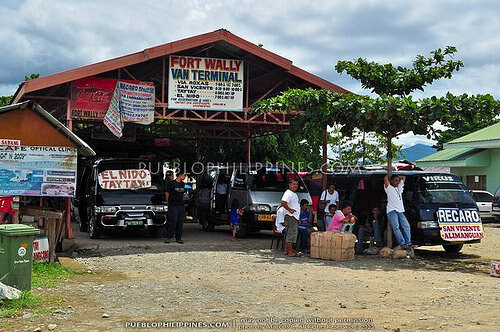 There were two (L300) shuttle vans stationed at Fort Wally, one headed for El Nido and the other for San Vicente. 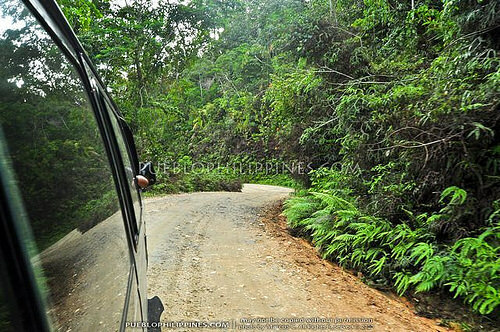 The 1PM van going to El Nido was the last trip of the day but (as I’ve read online) there might be a chance that the driver might not pursue the trip if there aren’t enough passengers. Past 2PM, the El Nido van was still empty, which got me worried. Meanwhile, the San Vicente van was already gearing up to leave. 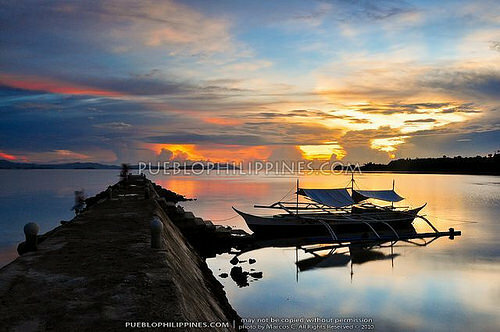 I made the quick decision to modify my itinerary and start my mainland Palawan adventure in the small town of San Vicente. 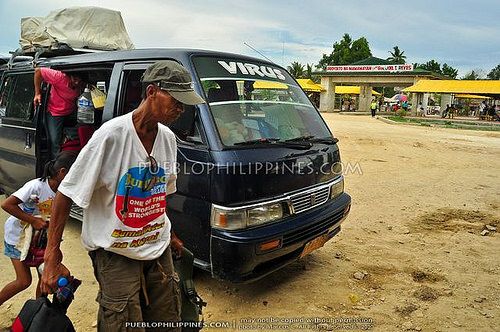 The San Vicente van left at around 2:10PM and arrived in Roxas Terminal at 3:40PM. 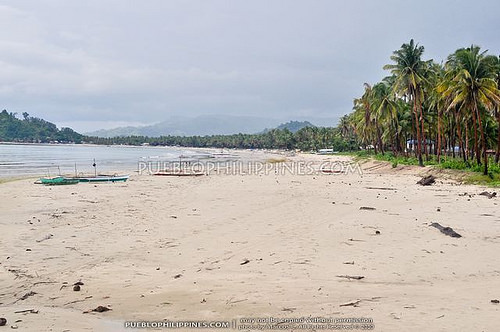 Roxas, a usual stopover point for passenger vans/buses, is located midway between Puerto Princesa and El Nido. 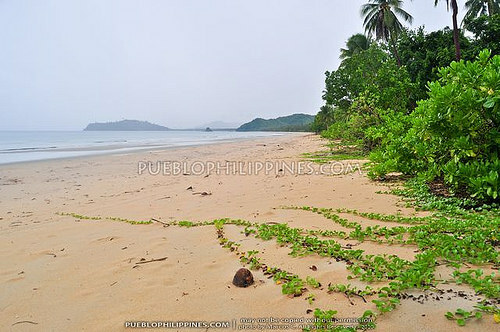 Lying on the west coast of Northern Palawan, San Vicente can be accessed by taking a left turn at Roxas. 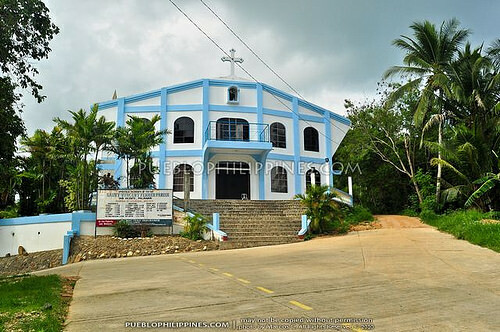 From Roxas, it’s another 1 hour and 30-minute ride to the poblacion of San Vicente. 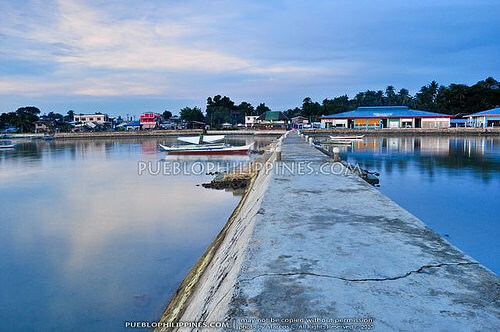 Total travel time from Puerto Princesa City to San Vicente takes around 3 to 4 hours. 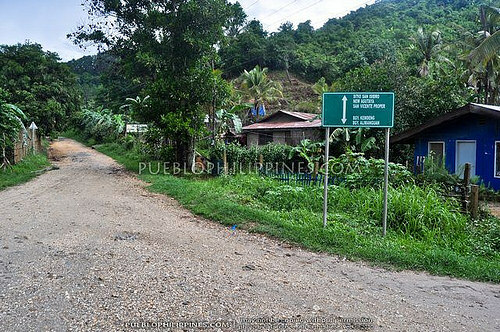 The place doesn’t have any signage, which will make it hard to find (just ask the locals since a lot of them are familiar with John Eric). The room was very basic. 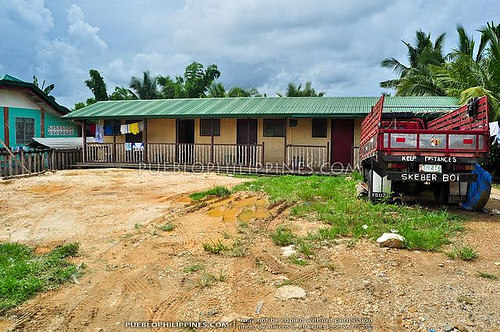 It had ample space, a bed for 1-2 persons, fan, and private bathroom. 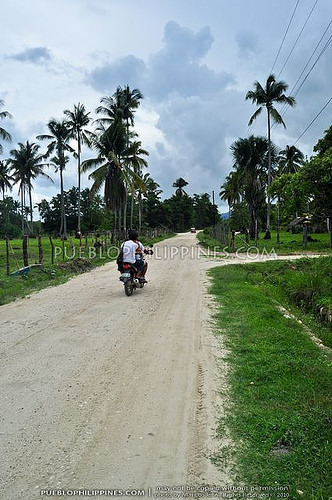 San Vicente spans a huge land area of 1,657 square kilometers with a population of only 25,218 people, which translates to only 15.2 people per square kilometer! 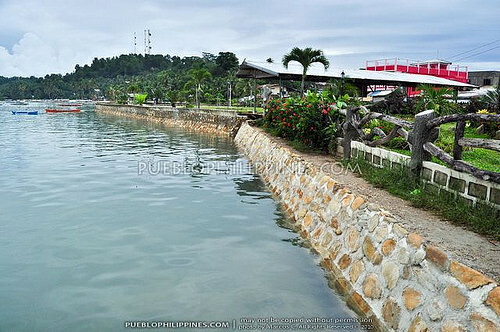 I have high suspicions that San Vicente is one of those towns that are classified as “first class municipalities” due to the technicality of its massive land area. The poblacion is hardly a testimony of any large scale industries/commercial activities in town. 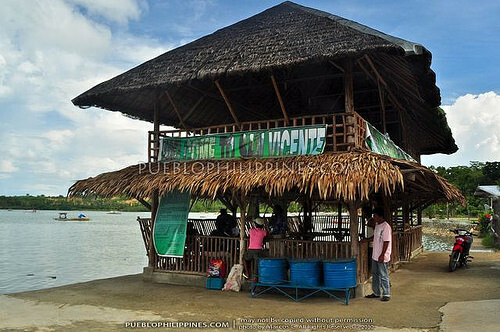 It was very laidback in San Vicente with the basic modern conveniences. 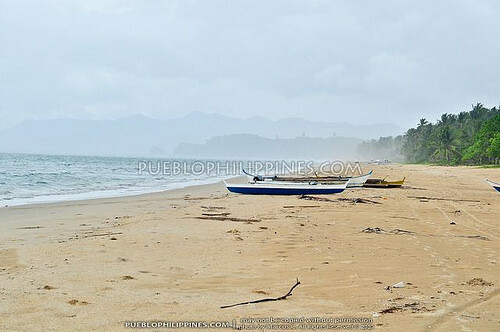 San Vicente, Palawan is also known for Port Barton, a popular destination for backpackers. 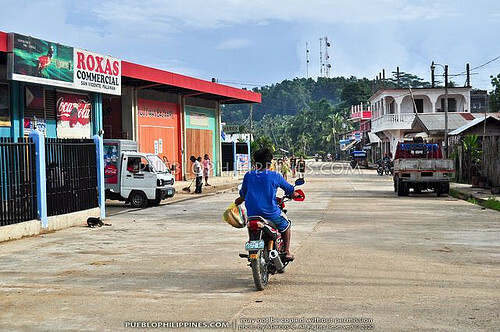 “Chamby,” a friendly local manning the municipal tourism office told me there weren’t any direct road access to Port Barton from San Vicente Town Proper. 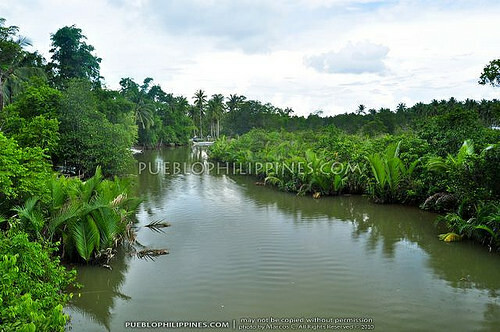 I’d have to go back to Roxas and ride another jeep or rent a pumpboat for P1,200, which was pretty steep. 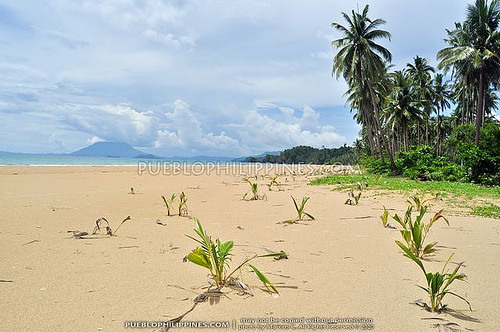 It seemed like a better idea to go to Port Barton on the way back to Puerto Princesa (from El Nido) rather than going there from San Vicente. Since it was already too late to go to Long Beach, I spent the rest of the day strolling along San Vicente’s seaside park / pier area while witnessing the glorious sight of my first sunset in Palawan. It was a beautiful sunny morning the next day! 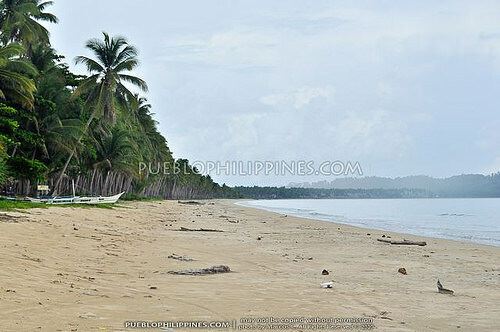 Long Beach in Brgy. 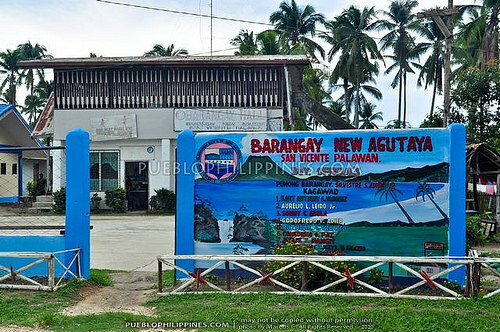 New Agutaya is only around 5 minutes by habal-habal from the town proper of San Vicente. The weather was fine so I decided to go to Long Beach by foot. Nothing much to see along the road. 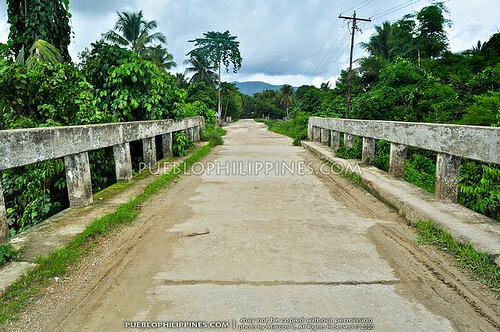 Passed by the Barangay Hall of New Agutaya and a bridge. 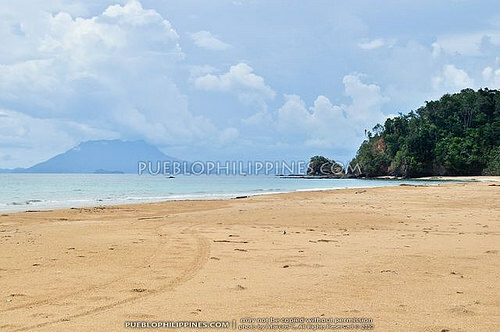 It took me around 40 minutes to reach this awesome super long almost deserted white sand beach. 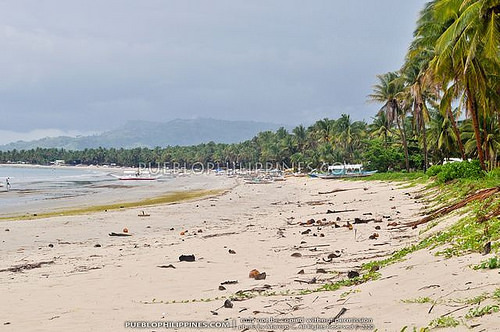 Boracay is not exactly what you could call as a model tourist destination either considering the ecological problems it is now facing. 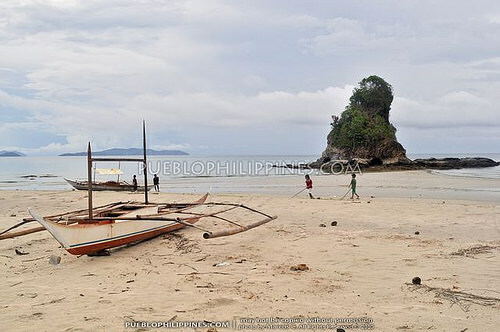 I’d rather prefer aspiring tourism destinations junk the idea of being “the next Boracay” and instead, learn from the successes and mistakes of Boracay and make a name for themselves. I don’t know how accurate Google Earth is but I measured the length of Long Beach. 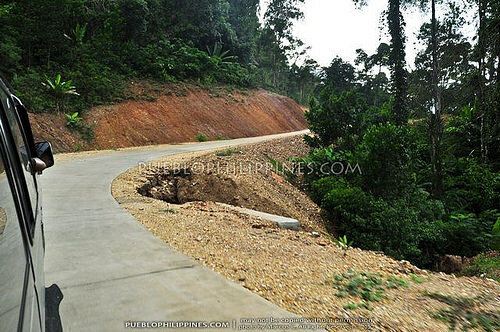 From the satellite imagery and it was only an uninterrupted 8 kilometers, which is nearly half of its 14 kilometer popularized end to end measurements. 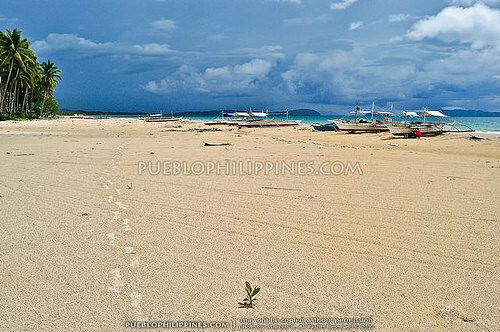 Still, it’s twice the length of Boracay’s White Beach and standing at the mid-point, I was amazed at how long it was. 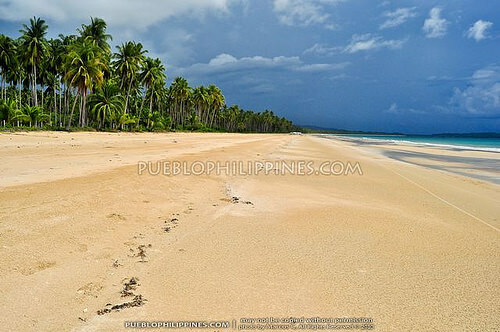 The sand had an off-white to yellow color and fineness similar to Station 3 in Boracay. To fully realize the tourism potential of Long Beach, an airport is currently being built in the town proper and roads are being developed. 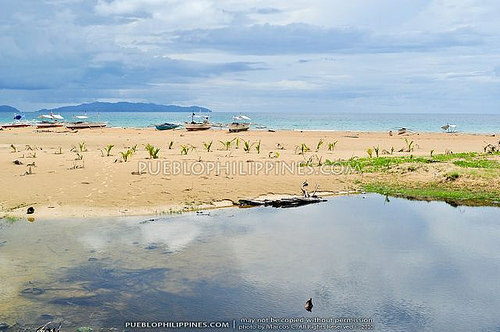 This place, in my opinion, has more potential than Boracay. 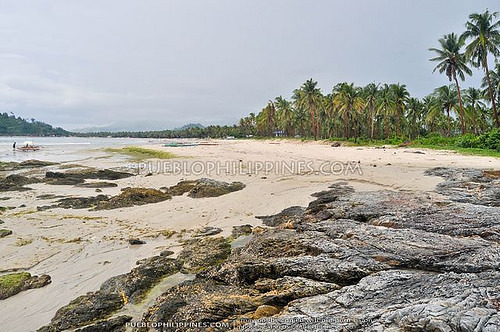 It could accommodate bigger developments since it’s located on the mainland and there’s ample space to build more and bigger hotels / resorts on a more sustainable level. 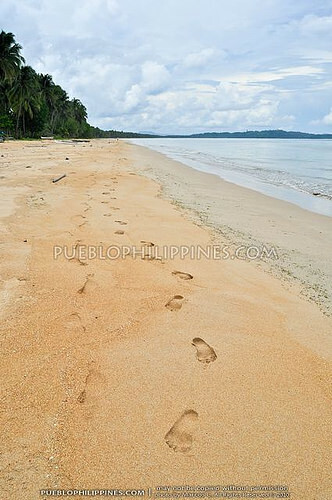 After laying down a few kilometers worth of footprints. I decided to walk back to the town proper. It started raining at one point so I decided to take shelter in a hut I passed by earlier. I shared the space with a local, who told me that there were still beaches past the northern end of Long Beach. 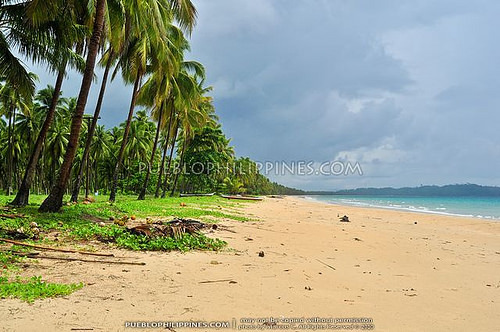 The sandy stretch right next to Long Beach was called “Tandol Beach”. I got curious, of course … it was only 10AM and I didn’t have anything else planned for the day. 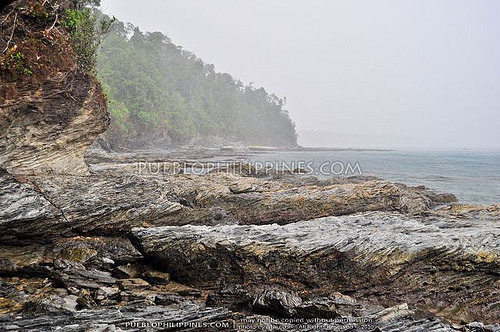 I was in the middle of the rock cliff area (already lost sight of Long beach) when it started to rain. To avoid getting drenched, I went in one of the cave openings. I had to share it with a colony of bats, though. I didn’t particularly have a fear of those little critters so it didn’t bother me that much. I even thought it was kinda cool being out there all alone playing “explorer” … I know, I’m such a geek! The rain got only stronger and the reality of my situation finally dawned on me. What if I stayed there for too long? The high tide could catch up making it impossible to reach Tandol or even back to Long Beach. 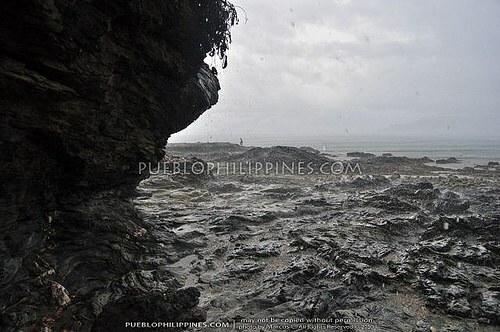 I went out of the cave and braved the heavy rain to avoid the possibility of getting stuck. The coast got more irregular. 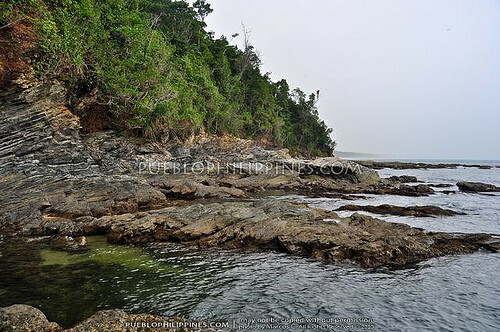 There were parts where I had to wade through the water and do a bit of free form rock climbing. 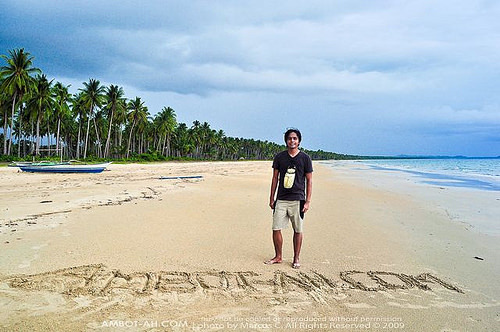 I finally managed to reach Tandol Beach, unfortunately, it still wasn’t the end of my misadventure. 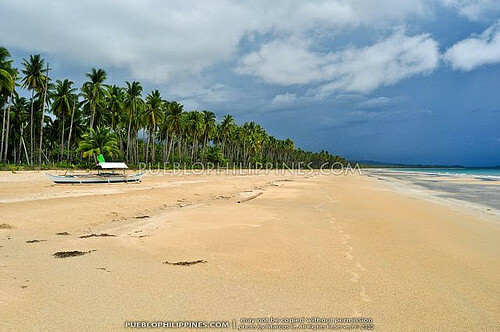 Tandol Beach was easily 3 kilometers long. 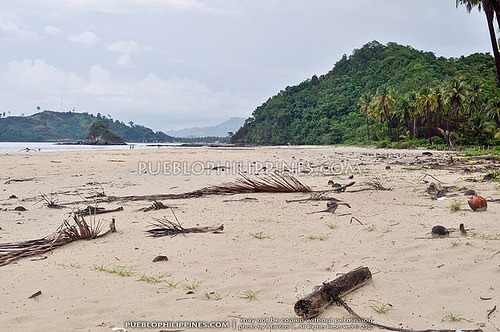 It had an even more secluded feeling than Long Beach and the sand was a bit whiter and finer. 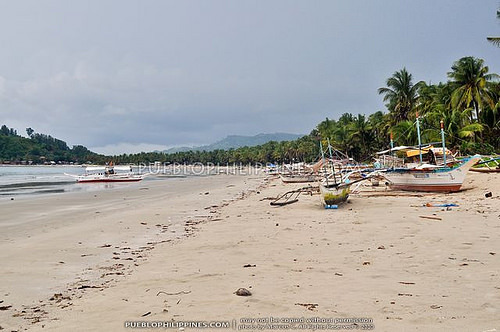 In the distance (past Tandol Beach), I could see another beach with a sizeable fishing community. It was still raining. I couldn’t see any roads from where I was standing. Much of the inland parts were closed off by barbed wire fences. I really wanted to take a rest so I crossed a gap in the fence and took shelter in a small shed. 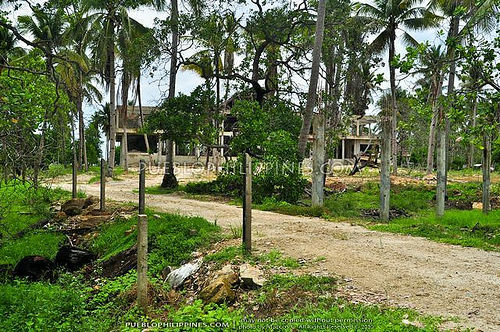 From there, I could spot a house nearby but I was having an uneasy feeling about the place (since I knew I was basically trespassing). I decided to hang around and think things through first. When the rain got weaker, two guys went out of the house. Both of them were carrying a bolo/itak (cutting tool similar to the machete) on one hand. I was already panicking a bit having thoughts of horror suspense movies suddenly pop-up in my mind. As they were coming closer but still a considerable distance away, I played the stupid tourist role (which was probably true) and asked them where the main road was. At least, I’d get some sort of reaction to gauge whether they were hostile or not. Much to my relief, they weren’t hostile and explained that the road was further inland. Less than five minutes of walking inland, I was already feeling that I was getting myself even more lost. I headed back to the shore and started walking northwards again … to the direction of the village that I spotted earlier. I passed by many scenic spots. 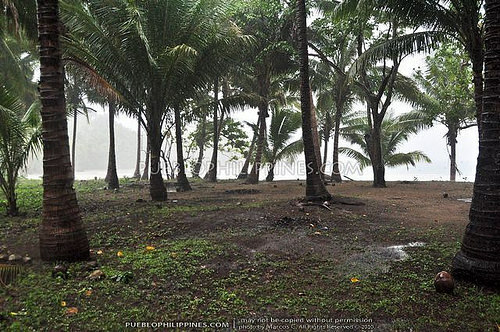 I just loved the raw look of the beach after the rain. 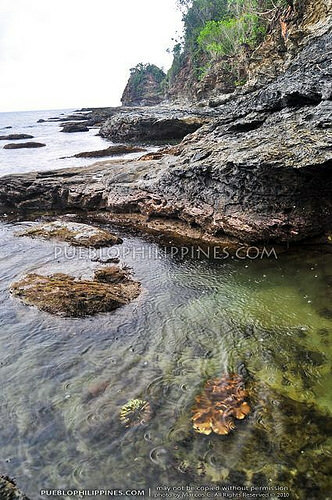 The rock cliff area past Tandol Beach was shorter and much easier to cross. 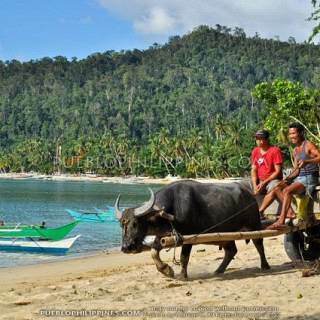 There were many houses, boats, and people when I got to this next beach where the village was. A road crossed through the village, which was great, and there was a habal-habal waiting at an intersection, which was even better. The driver told me I was already in Brgy. 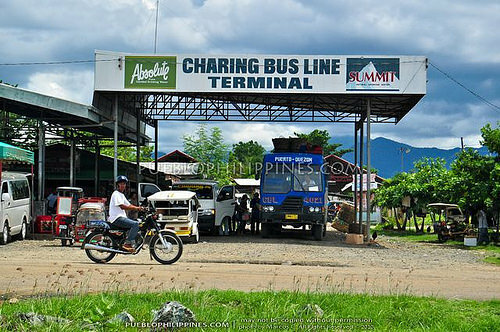 Alimanguan, San Vicente and charged me P100 for a ride back to town. 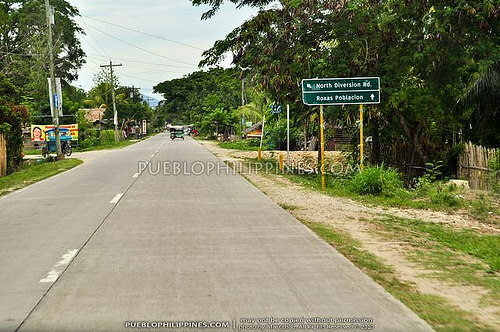 According to his speed-o-meter, I was 17 kilometers from San Vicente Town Proper. I know I did a very “hearty” walk but I was shocked … 17kms?!?! I didn’t expect to have walked that far! 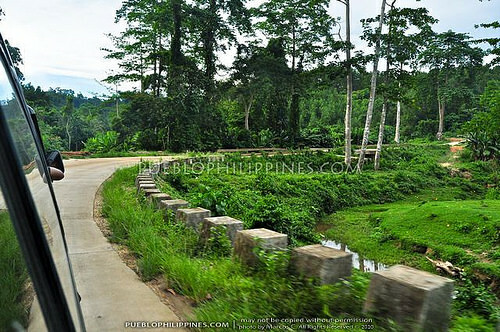 It’s like walking along EDSA in Metro Manila from Mall of Asia (Pasay City) to Araneta Center (Cubao). I was so exhausted, I immediately dozed off when I got back to my room. Cool. 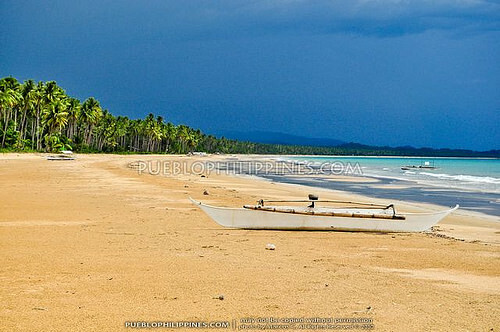 Enjoy San Vicente :) at least you can plan your trip to Long Beach better than me. 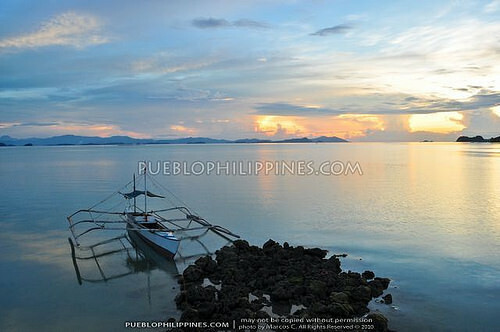 There are a lot of islands off the coast of San Vicente, kung may budget lang ako, I would’ve loved to go there. you wouldn’t feel that you’ve walked 17 km already when you’re enjoying the sights. Agreed. 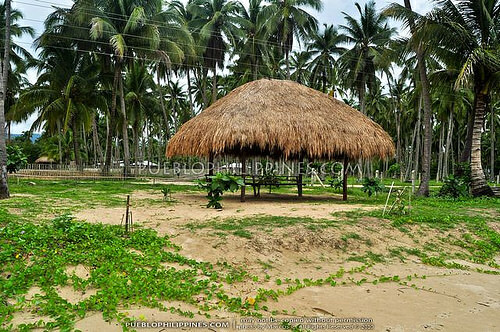 The town should make regulations on the construction of structures along the beach. 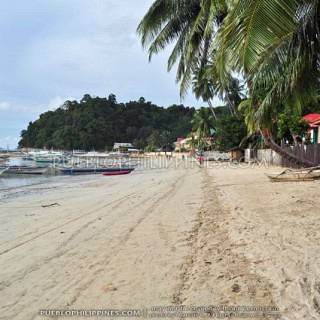 Unlike in Boracay, where some of the establishments already touch the sea during high-tide .. it’s very unsightly. 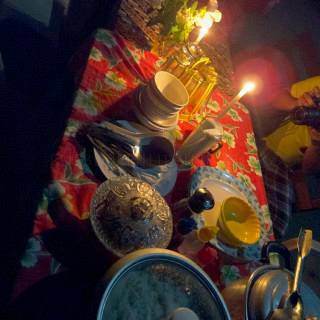 Most likely, hehe, another major concern was maka-uwi ako sa town proper before sundown. No choice kahit sore na pala yung mga paa ko. I don’t know but I might have read a post about you almost getting stuck in the caves because the rain suddenly fell hard.. Deja vu?.. 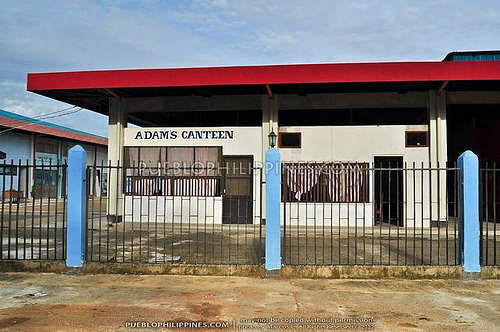 hehe eto rin ba un? Oh, yes, I’ve posted this story before. 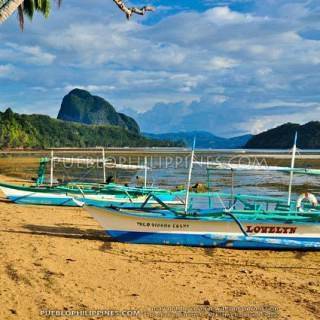 It’s actually the same palawan trip I posted last year. 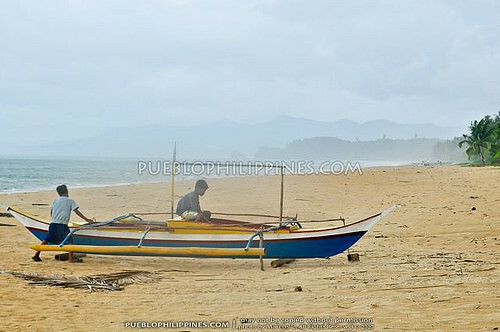 Decided to break down my super long post about my solo trip to Palawan into smaller more readable posts. Needed to improve the write-ups also … di ko masyado na proofread last time. Hehe, manage ko pa better mag upload ng maraming travel photos … yung sa pagsulat ako nahirapan kaya trip overviews na lng inuuna ko :) Thanks for dropping by as always, jeffZ ganda talaga ng portfolio site mo. 14km!!! that’s one freakin long beach man! I can relate too JeffZ, hehe, coz we know taking a pretty picture isn’t always as easy as clicking the shutter / or just editing them in photoshop. A lot of effort goes into being at the right place and time and I admire other photographers too who make tremendous effort just to achieve/satisfy their creative urges. 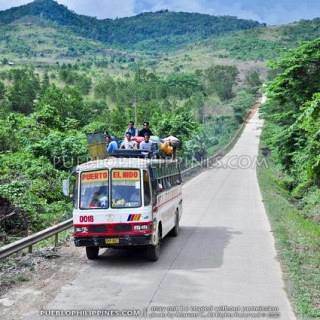 Oo nga :) Di pa naman ako ready maging “super” nomad/traveler … haha. I’m still anxious right now but I’d like to try long term backpacking talaga. 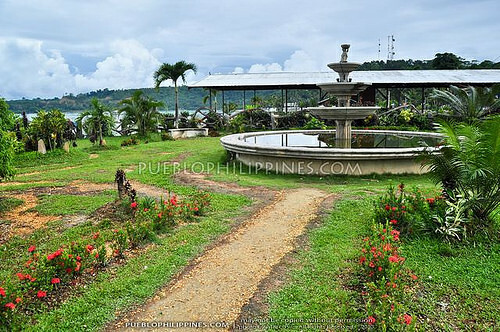 Ang ganda pa ng place, and you have it all to yourself! Keep up the adventurous n’ brave spirit and good luck to your future travels! 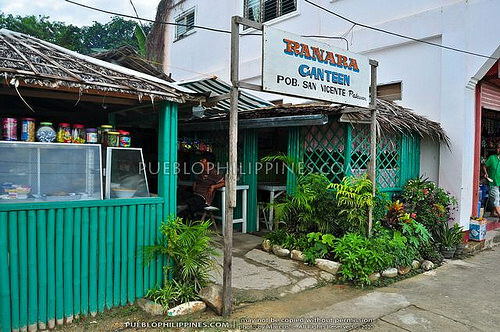 Ahhh… tandul is a term pala and not necessarily the name of the place … you make me want to come back to San Vicente, hehe … I’ll be coming back to Palawan this December and I’m hoping I can visit New Canipo and Brgy. Binga as well. Hope you could read this reply coz I want to know if there are public transportation in the area. I noticed passing bus/vans in New Agutaya. Do they go all the way to Binga? 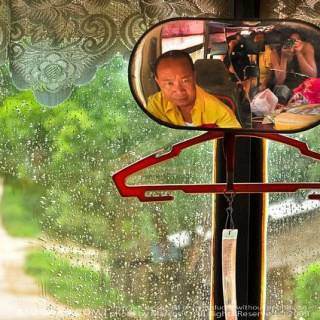 where do they pick up passengers .. in Roxas or Puerto Princesa? you sure like walking. ive been wanting to see that long beach but I’m not impressed with the sand quality. is it really worth to go there? The beach wasn’t super white and super fine. I’d say most parts of what I’ve seen so far was average with some parts that was a little above average. Yes, I still think it’s worth it to go there. 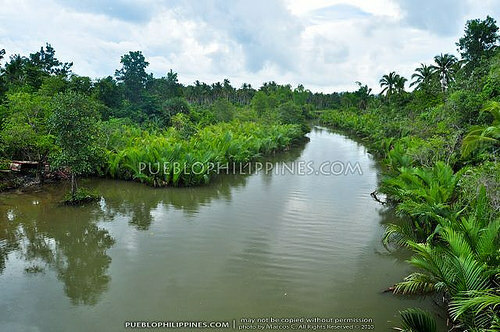 There are lots of beautiful islands and inland attractions in the area as well. Saw your blog already. Great posts! very cool!!! thanks for sharing this. very timely as this got featured in a morning show recently. San Vicente is starting to get a lot of exposures. That’s good to know! Nice post! Is it worth the trip? 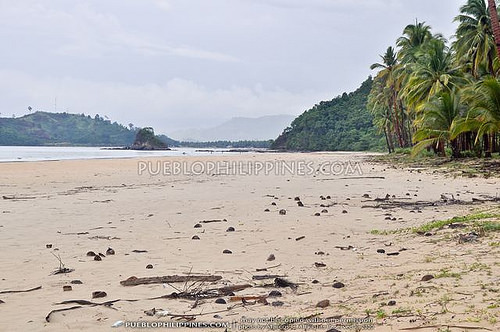 Malayo yung Coron at El Nido from Puerto Princesa. 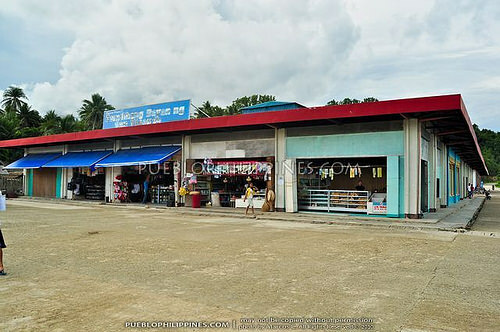 If you want to visit Coron, Busuanga Airport is the more convenient gateway and not in Puerto Princesa. 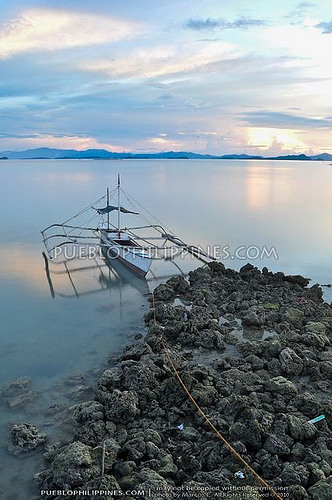 It’s possible to ride a boat between Coron and El Nido. 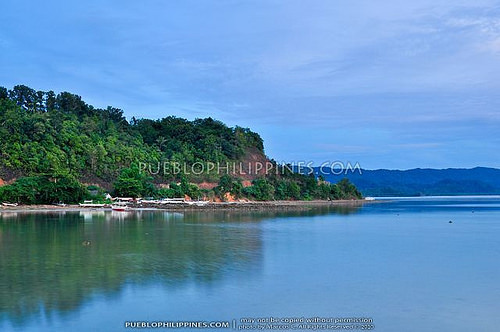 Since you’ve already visited Puerto Princesa, recommended talaga ang El Nido or Coron (or both!). 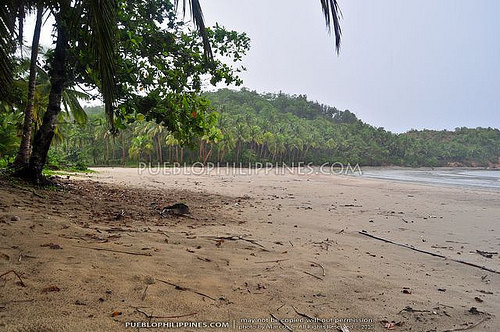 Pwede din mag land trip from Puerto Princesa to El Nido. It’s 6 hours away by van. If you want to break the long land trip, Port Barton / San Vicenete is a beautiful place to visit as well. 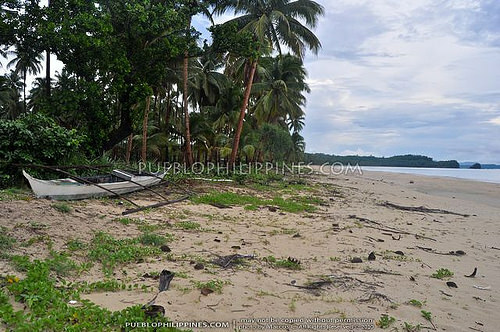 Hi Marcos.I searched more about San Vicente if it is really Longest Beach in the Phil.& I found your blog.Lalo akong naamazed sa ganda ng San Vicente.May mga hawak kasi akong Beach Front For sale in Agutaya,Kemdeng,and many more in Palawan kaya nireresearch ko more about San Vicente.Thank you so much for more info.If you have friends who wants to invest here,There’s still Beach Front & 1st lot available in San Vicente,also in Puerto Princesa.Just contact 0999 993 8832, FB: [email protected] you! Godbless! Sana nabasa ko Marcos post mo. 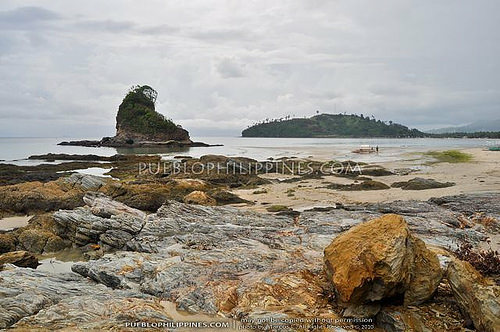 I just came from a 7 day tour of Palawan. Sana nabasa ko earlier ang blog mo. ano pong malapit na hotel? 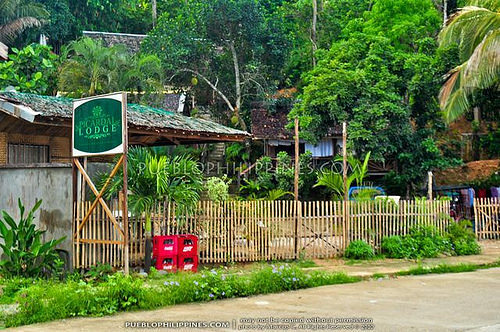 “John Eric Lodge.” malapit po ba to sa long beach ng san vicente? 5-10 minutes by motorcycle from the town proper. 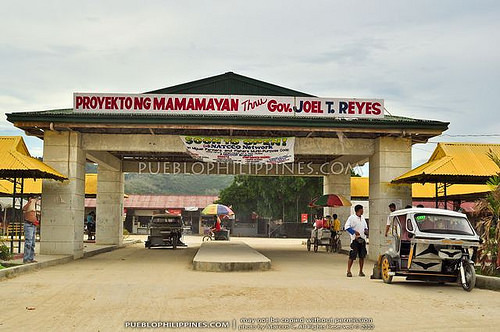 During my visit, all the resorts/hotels/lodges were located in the town proper. Wonderfully written article! 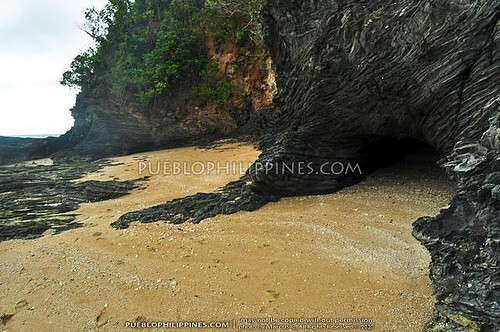 I’m planning a two-week trip in Palawan and I’ve always been curious about Long Beach and your blog post is incredibly helpful. Hi mig, I’m an SSC forumer from DGTE. This post is exactly what I needed. I’m skipping San Vicente :). 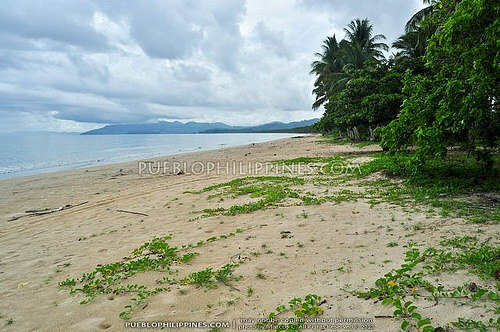 Masyadong malayo just for a cream-sand beach. 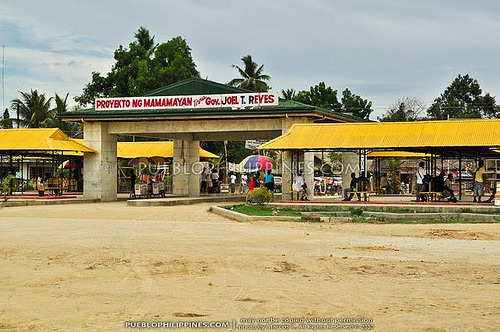 Looking at the photos, better pa ata ang buhangin sa Station 3 kaysa rito.